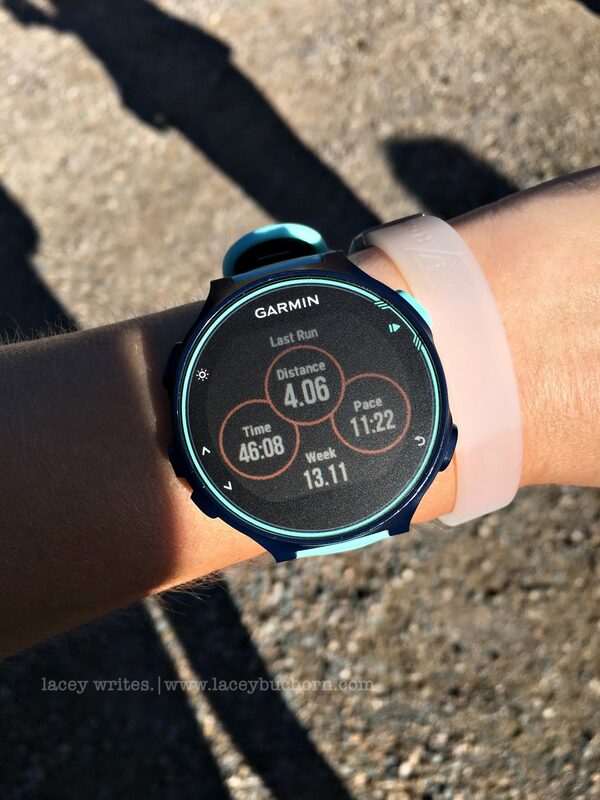 Hey look…I’m posting a race report BEFORE a year has passed! Shocking, I know. 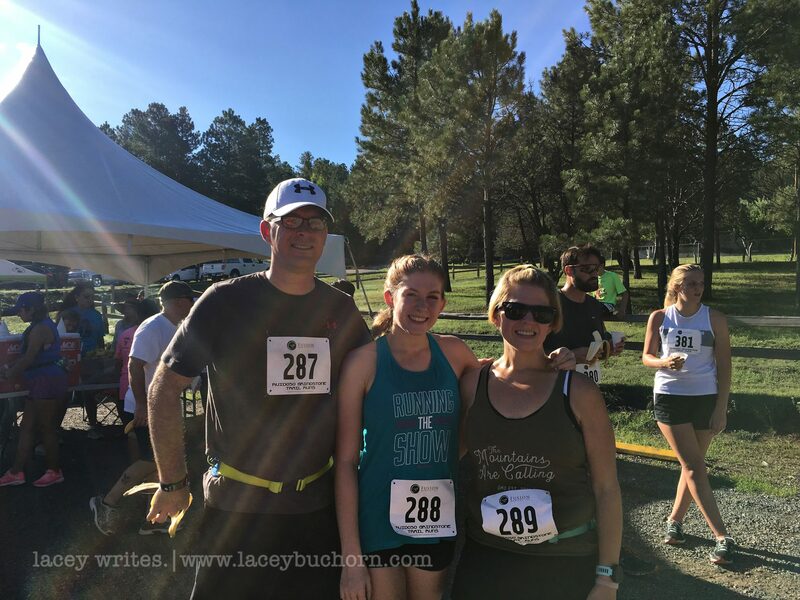 Last month, our party of three ran the Ruidoso Grindstone Trail Runs Race in Ruidoso, New Mexico. 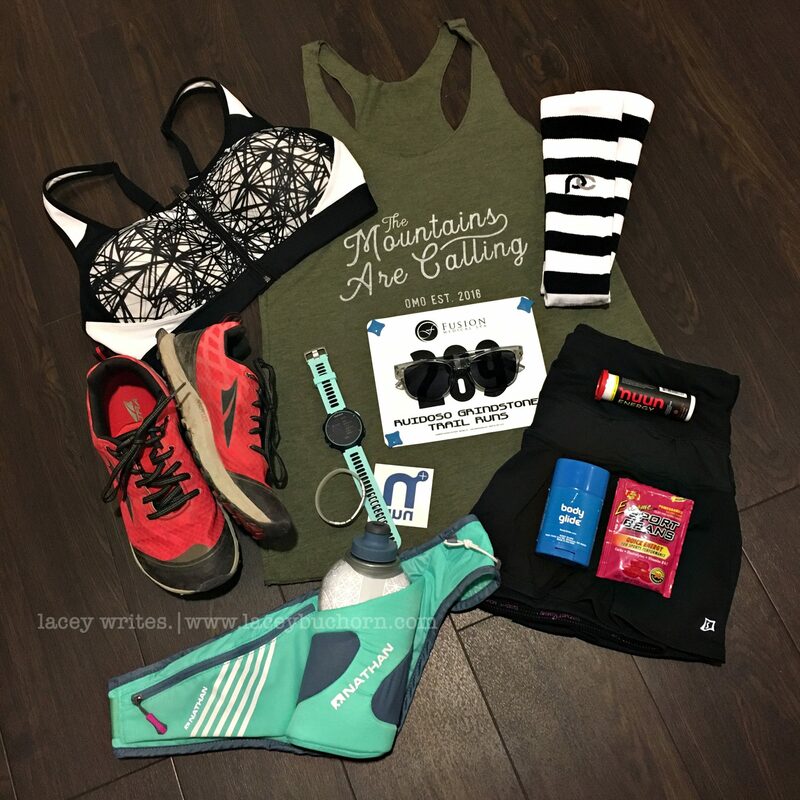 They offer a 4 mile, 8.5 mile and half marathon option. We opted for the 4 mile. 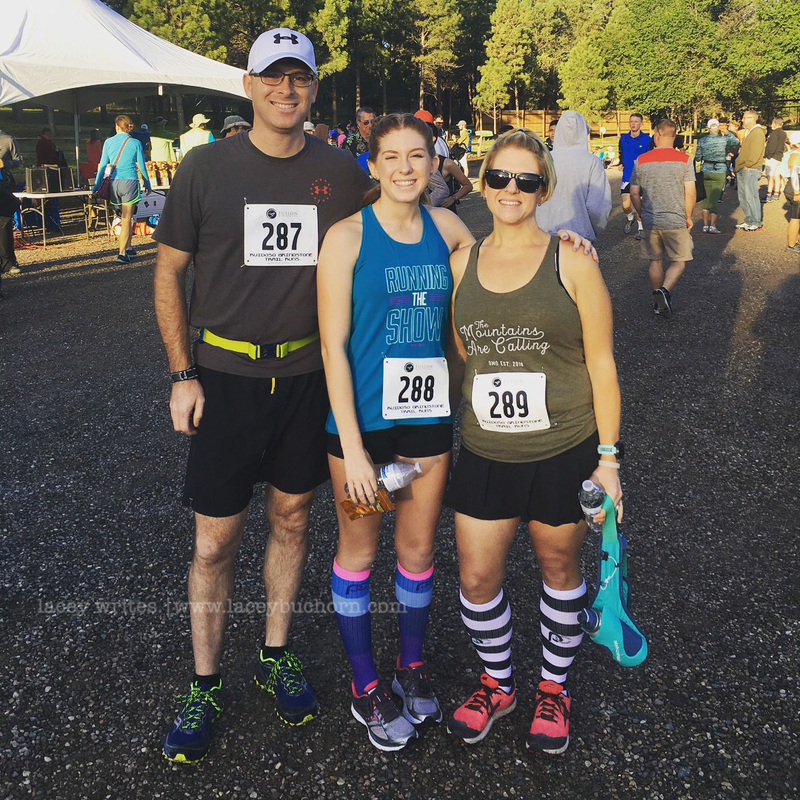 This was my second trail race and both Bryan and Jacey’s first “official” trail race. Jacey runs cross country though, so the concept of racing on surfaces other than pavement was not new for her. I was excited and scared for this race at the same time. 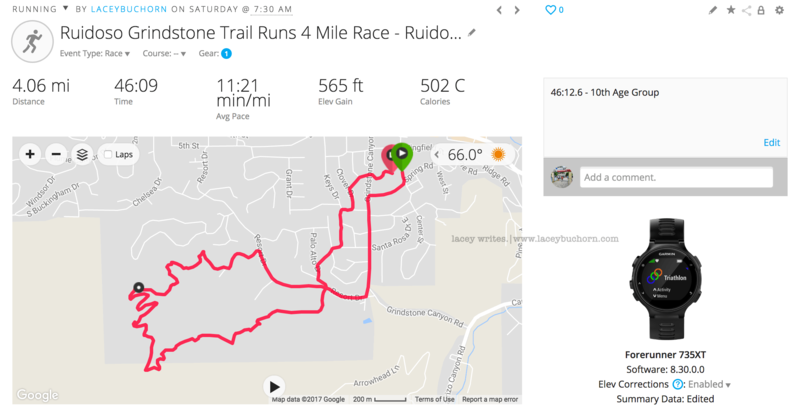 Hills are not my friend and elevation is about 2000 feet higher in Ruidoso than WSMR. What doesn’t kill us makes us stronger though, right?! We arrived at the La Quinta Ruidoso Downs shortly after 3pm, only to discover our room wasn’t ready yet. Since it was pouring outside, we opted to just wait in the lobby. While waiting, we inquired about the breakfast hours and if they planned to open early to accommodate the racers. We were told that they would have to ask the night manager and get back with us because it was at his discretion. To say I was less than impressed, would be an understatement as they were the host hotel for the race. They did end up letting us know later that breakfast would open an hour earlier than normal, but as the race hotel, I expected these logistics to be ironed out beforehand. After the bumpy check in, once we finally got to our room, it was clean and of your standard La Quinta caliber. 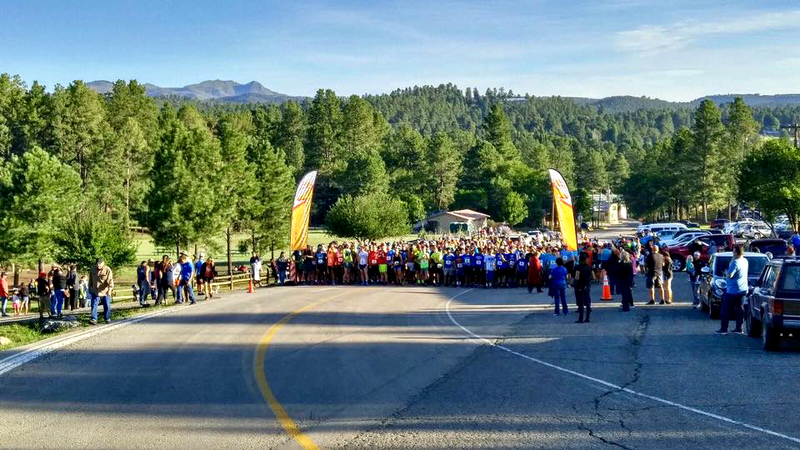 Pre-race packet pick up was held at the Ruidoso Athletic Club (RAC) right across the street from the race start line. This was nice because it gave you the chance to not only scope out parking for the next day but also see exactly where you needed to be. Packet pick up was smooth and quick to sign waivers, grab bibs and shirts. They even had enough extra shirts on hand to swap sizes, since the ones I selected for Jacey and I were WAY too big in real life. 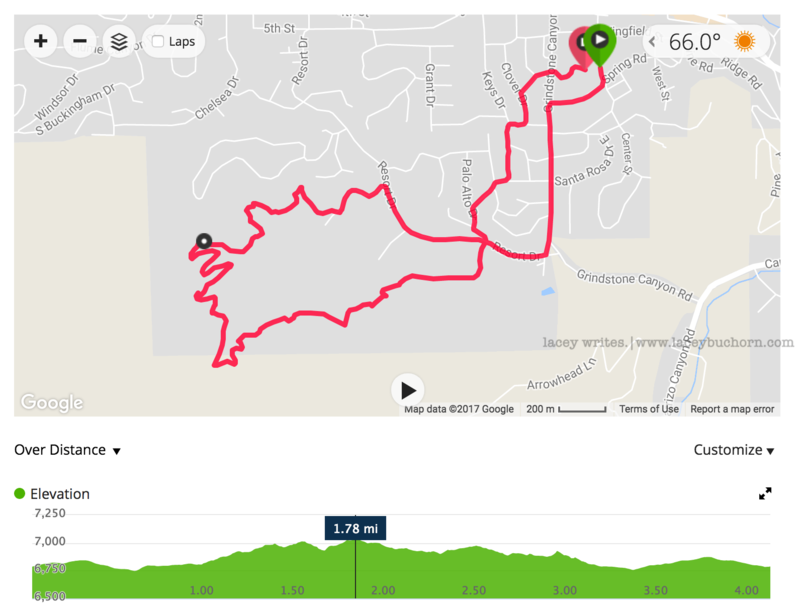 The course map station was a little confusing. The guy there had a hard time keeping the different distance courses straight, but I think we finally figured it out. 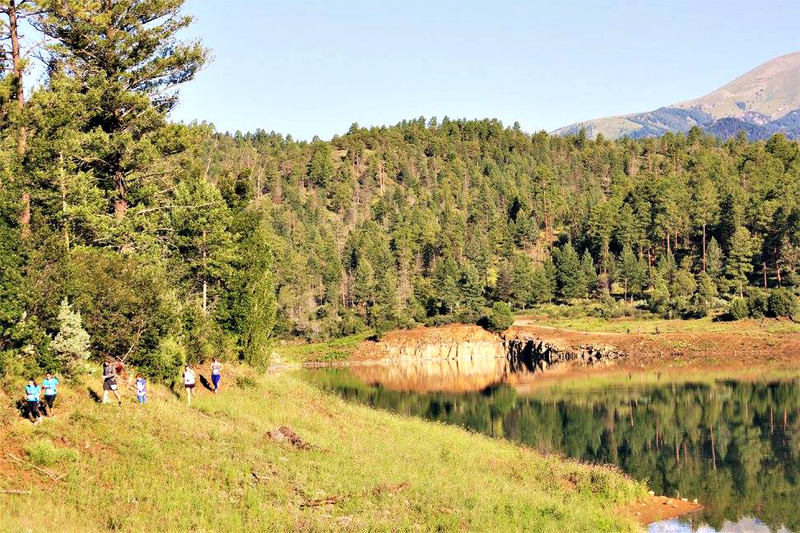 A little bit of pavement, up a big hill and then trail around the lake. Got it! We grabbed dinner on the way back to the hotel and settled in for the night. I’m just mildly (okay, a lot) OCD and had to go through my gear, not once but twice. My husband and daughter took a quick glance and went back to watching TV. Oh, to be like them. If I wasn’t OCD though, I wouldn’t get cute #flatlacey pics. Race day always starts WAY too early for me. We got up, grabbed a bite to eat and headed to the start line. Suffered through the port-a-potties, listened to the race announcements and then lined up at the start line. Bryan decided to start with Jacey and I started just a bit further back because well, I’m not as fast as her or as delusional as him. The gun went off, right on time and off we went. The first hill was pretty terrible, but once we got on the trail I had a great time. 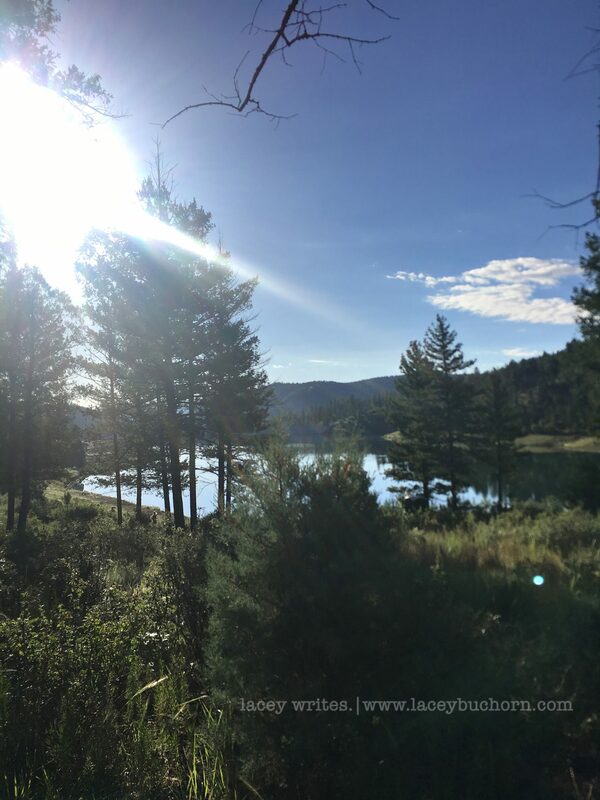 The sights were gorgeous and well, I just love trail running. 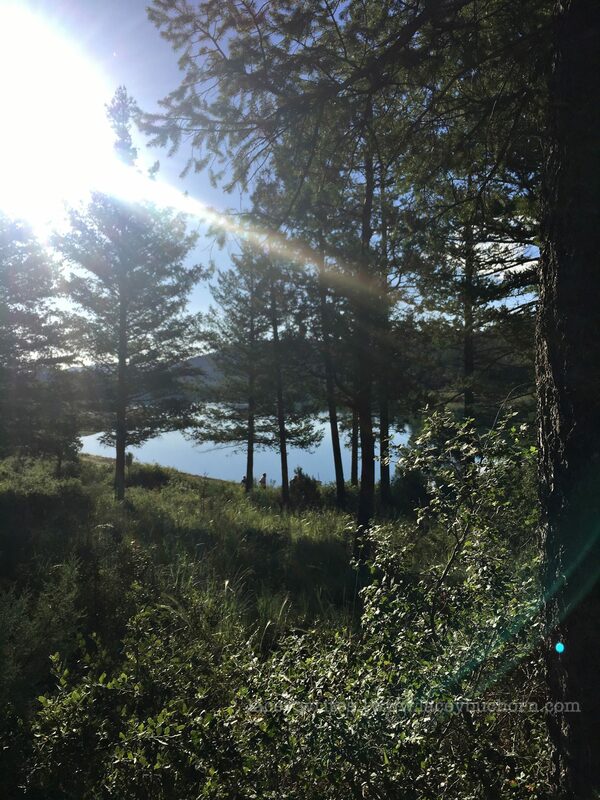 My only complaint about the actual race is that the race directors need to do a better job at announcing/teaching/stating guidelines for trail etiquette. People would NOT move over and let you pass, even when you announced your intentions and many were wearing earbuds and just plain couldn’t hear you. I could have finished a bit faster than I did, but it wasn’t worth the risk of me passing off the trail and twisting my ankle. The trail was in great condition after all the rain the previous day and the weather was perfect. Just a little cool, but not too much with bright sunshine. The course was a good mix of smooth dirt, rocky patches, rolling hills and just a little bit of mud. To finish up the race, you wind around the lake and then end up back on a short stint of pavement. There I caught up with Bryan and we finished the race together. My official finish time was 46:12.6 which put me in 10th place for my age group (Jacey was 4th in her age group and Bryan was 7th in his). I was pleased with that since July was a little lacking in training for me and the altitude difference. 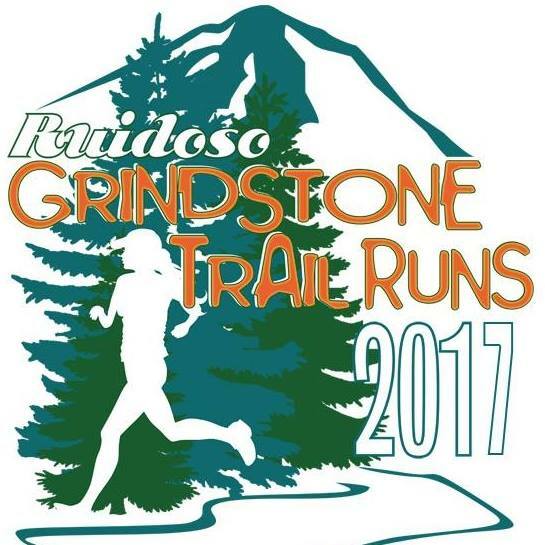 Ruidoso Grindstone Trail Runs 4 Mile | 07.29.17 from Lacey Buchorn on Vimeo. Would I do the race again? Absolutely! I might even be brave enough to go up to the 8.5 mile option next time!